The BluePearl 24 hour pet clinic in Ann Arbor keeps the lights on all night, so we can see your pet in an emergency. Our veterinarians and technicians work together as a skilled team, ready to perform emergency surgeries on site. That may mean an emergency C-section or treatment of life-threatening gastric torsion. We treat wounds, vomiting and diarrhea. If your dog ate something bad, we know what to do. 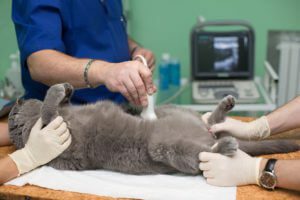 Emergency vets in Ann Arbor also have access to the expertise of multiple veterinary specialties through the larger BluePearl animal hospital in Southfield. We are pleased to offer the services of a veterinary ophthalmologist, a specialist who can manage problems such as glaucoma or cataracts. Unlike emergency care, a specialist visit requires an appointment. 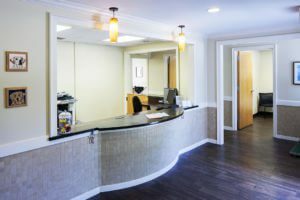 Our Ann Arbor clinic, formerly Michigan Veterinary Specialists, has been a fixture on Packard Road for so long that some clients feel like family. We understand the financial pressures some face, and so we provide cost estimates up front. No one can put a price on your love for your pet, but we can show you a range of options.